Download Blu-ray Playing software Mac OS X Mavericks FREE to play Blu-ray movies on OS X Mavericks 10.9, which can not only play Blu-ray disc or its ISO files on Mac, but also on iMac, MacBook Air, MacBook Pro, Mac Mini, MacPro, etc with original quality. Blu-ray Player Mac OS X Mavericks can support all media formats of movie, video, audio, music and photo. It is multilanguage supported and easy handled with user-friendly interface. 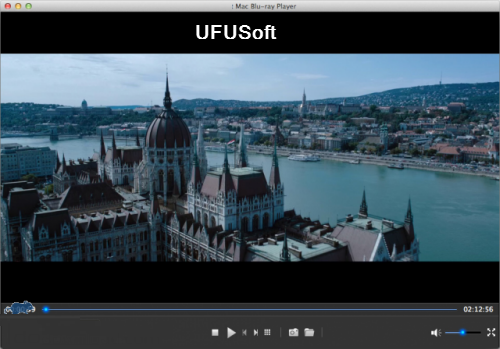 After adding DTS5.1 into it, UFUSoft Mac Blu-ray Player can bring your Mac to the most popular Blu-ray HD video enjoyment. The strong compatibility of Mac Mavericks Blu-ray Player supports Mavericks 10.9, 10.8, 10.7, 10.6, 10.5. Mac Blu-ray Player OS X Mavericks plays any commercial Blu-ray disc released in different regions. Only by live internet connection, can it load and play the Blu-ray video directly and play it without any quality loss.